A judge has rejected an attempt by Arizona officials to stamp out the state’s medical marijuana program, ruling in favor of the voter-approved law and effectively clearing the way for nearly 100 dispensaries to launch in the coming months. 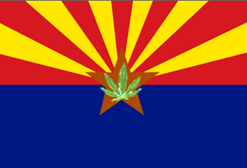 The strongly worded ruling represents a major win for Arizona’s budding medical cannabis industry, which has been in a holding pattern for the past few months after local officials challenged the legality of the state’s MMJ laws. The stakes were high: Arizona leaders likely would have been able to prevent dispensaries from opening at least in the near-term had the judge sided with them. This marks the second major defeat in 2012 for state officials looking to block dispensaries from opening. Gov. Jan Brewer lost a court case earlier this year when a judge ordered her to implement the state’s medical marijuana laws and stop delaying the process. The industry isn’t out of the woods yet, though, as the state is expected to appeal the most recent decision. But that process could take a year or two to play out, and industry experts are confident that MMJ supporters will win that battle as well. Given that the 97 dispensary finalists selected in a recent lottery must open by August 2013 or lose their right to do so, expect a flurry of centers to finish the licensing process and launch in the near future. The first dispensary in Arizona opened over the weekend and will begin officially distributing medical marijuana next week. Inventory could be a difficult near-term challenge, as most dispensary operators haven’t started cultivating yet. So those that open in this month or next could be low on supplies at the beginning, though they can take donations from caregivers.